I’ve got a crush, and I’ve got it bad. 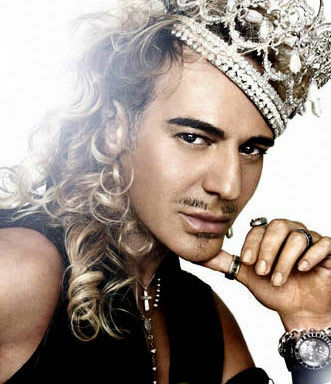 John Galliano… Gall-i-ahhhh-no. Here he is, channeling his inner Fabio. My fashion crush began with the Rachel Zoe episode where Rach and Brad go to Paris. 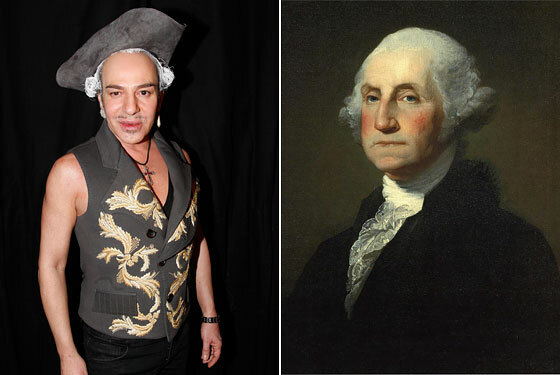 The John Galliano fashion show, remember it? With the snow, and the models emerging from the light tunnel created with laser lights? (Which he’s kinda known for). Ok, here’s my attempt to be studious and informative: He was born in Gibraltar in 1960, his father is Spanish, but he moved to London and is considered a British designer. He’s noted for his avant garde designs which translate into street-saavy pieces to be worn by normal people too. He’s been awarded all kinds of accolades from the industry. He’s been criticized for his designs being too antiquated, but I love his mix of history and modernity. In 1995, he was lead designer at Givenchy. And in ’97, when Dior was bought by LVMH, Bernard Arnault offered Galliano the House of Dior, giving the phrase “Dior’s New Look” an entirely new meaning. He considers Charlize Theron as his muse. (But that’s only because he’s never met me). History meets absurdity, meets luxury, meets theatricality. Love love love! Taylor leaves Rachel Zoe Inc.
News flash! Taylor Jacobson has left (or perhaps was fired?) from Rachel Zoe Inc. I’m a few days behind on this, and didn’t discover the news until one of my Bravo Hos mentioned it first — shout out to chasingbunnies for her hunting skills. Whether she left of her own accord or if Rachel fired her “blessed jewel” is uncertain, and varies in different reports. Jacobson spent all last season discussing her vocational malaise with the cameras rolling, so it’s no surprise to discover she’s flown the Camp Zoe nest, but it does beg the question of exactly who will replace Taylor’s position within the company. For this dedicated RZP viewer, it has me hoping the show will still be picked up for another season, with or without the platinum bundle of discontent. And what’s next for Tay Tay? I do wish her well, she has wonderful taste and clearly does love fashion, so go out there and use it or lose it, Taylor. Somehow, I don’t think she’ll be pounding the streets in her Louboutins looking for a job for very long. Her work ethic was incredible, even on the days when her personality was less-than-sunny. The Little Black Dress (or “LBD”) has become a staple within the wardrobes of women worldwide. 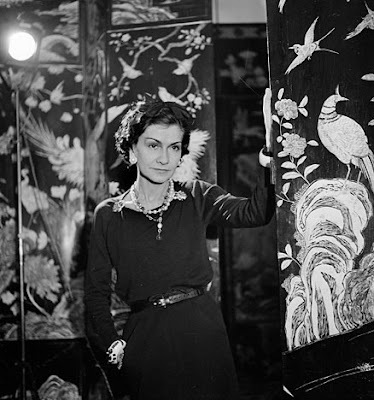 Yet, few know it was the legendary designer Coco Chanel who championed the LBD movement, and fewer still can agree on Mademoiselle Chanel’s motivation for its creation. The color black had come in and out of fashion by the turn of the 20th century, although it was still seen primarily as a color of mourning. Chanel was quite aware of this tradition, and two separate stories tie these notions together. The first story concerns Paul Poiret, Chanel’s primary rival in Parisian fashion design at the time. Seeing Poiret’s collection featuring riotous colors, Chanel disdained his garish displays and, to set her work apart from her competitor, used black instead. By including superior textiles and relaxed silhouettes, Coco remade the image of the woman who wore the black dress, and in keeping with the Roaring 20s, she continued to challenge fashion’s mores by raising hemlines and removing excess layers to create freer and more revealing looks. 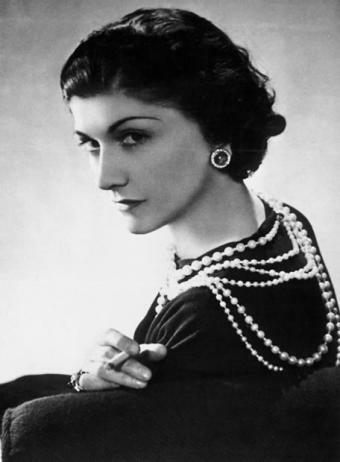 By Chanel’s vision, a woman in an LBD was independent, and made her own rules. But, this tale might contain a less obvious underlying sense of truth. In 1919, Boy Capel, whom Chanel called the love of her life, died suddenly in a car accident. The LBD, she has purportedly said, was her tremendous grief spilling over into her other greatest love, her work. “I will make the world mourn for you,” she vowed to her lost love, and proceeded to dress women in black, in perpetuity. But, like everything with Coco, there are always more stories. Ever the pragmatic designer, Chanel argued that a simple black dress not only hid stains, but was multi-functional, easily transitioning from daytime wear to evening attire, all by changing one’s accessories. Add a jacket for daytime, and swap the jacket for long gloves and a luxurious wrap, and a lady could be ready for the opera, all with minimal effort and still creating maximum effect. One more tale lingers in the legends of the LBD’s origins… Chanel was raised by nuns before becoming a seamstress in her youth, and some claim Chanel’s motivation for using black as a uniform harkens to her subconscious desire to return to her youth, and the caretakers she once knew.